Hope. 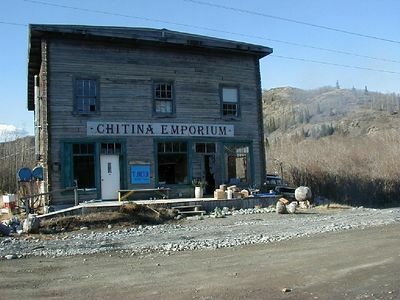 In its heyday of gold mining, a bustling little town on Turnagain Arm. 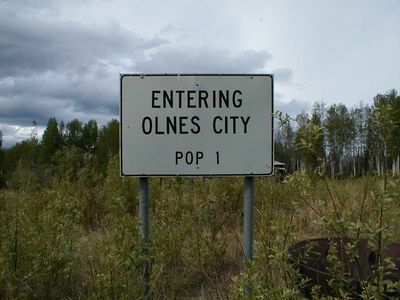 One of Alaska's smaller communities. 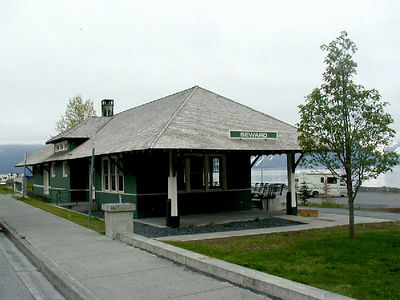 The old Seward railroad station. Prior to the '64 earthquake there was a dock behind the building, and tracks between the dock and the station. Alaska Steamships freighters would tie up at the dock to unload into boxcars and flatcars. 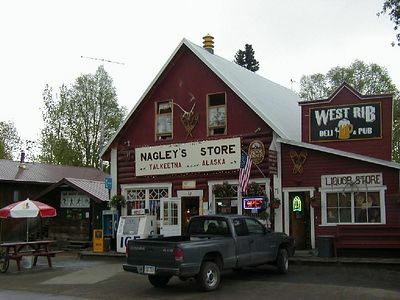 The quaint little burg of Talkeetna, jumping-off spot for climbers of Denali. 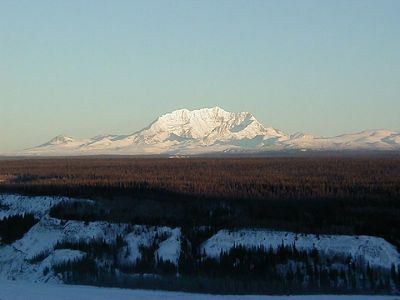 Panorama - Denali (The Great One) across the Chulitna River. 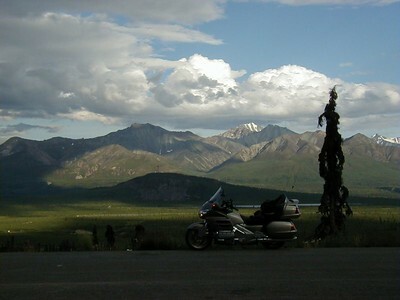 Taken from an overlook on the Parks Hwy. 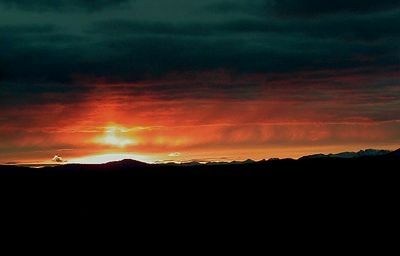 Early fall sunset on Mt. 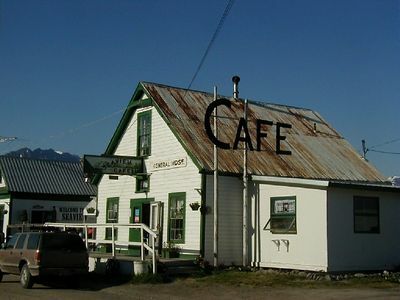 Drum, as viewed from the north side. 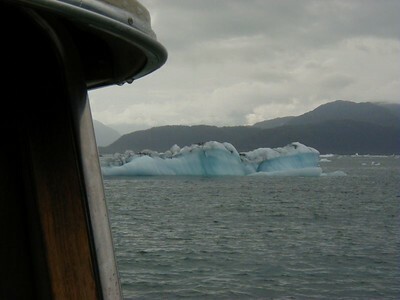 Dodging icebergs in front of Growler Island, northeast Prince William Sound. 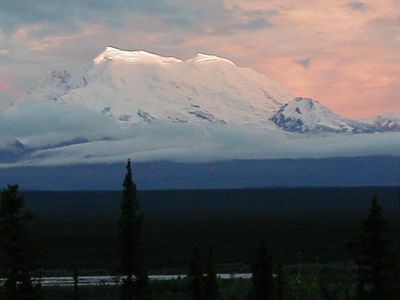 A fall sunset over the Alaska Range as seen from about MP16 on the Denali Hwy. Mt. Blackburn from Sourdough Ridge, just east of McCarthy. Panorama - Whitehorse, Yukon as viewed from the opposite side of the Yukon River. It is suggested that you view this at "original" size, and scroll across in order to get the full effect. 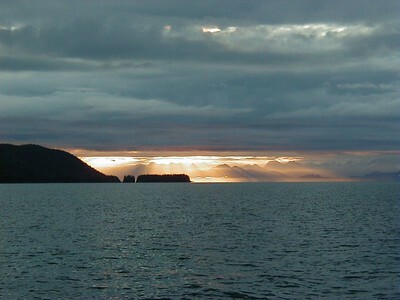 A sunrise over Valdez from out in Prince William Sound near Naked Island. 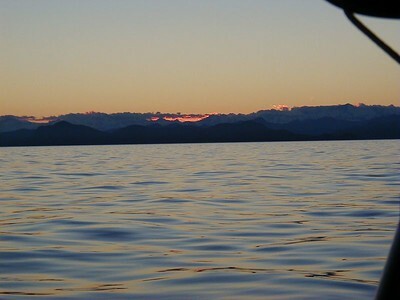 Sun setting over the mountains of the Kenai Peninsula on the western edge of Prince William Sound. Mt. Drum presenting its southern face as seen from just above Lower Tonsina. 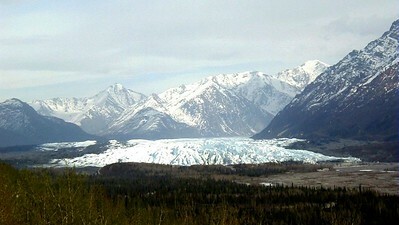 One of many shots of the Matanuska Glacier, as seen from the wayside at MP101 of the Glenn Hwy. 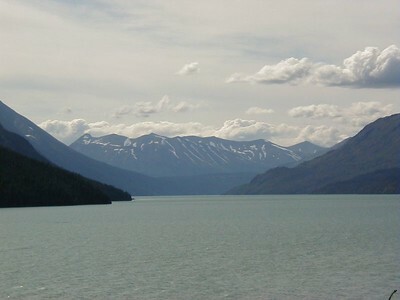 Another panorama - this one of Turnagain Arm from just south of Girdwood. Again, viewing it in "original" size gives the best effect. 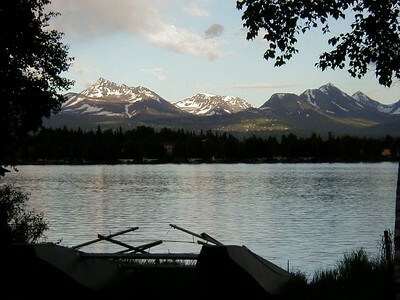 Gunsight Mt. The notch that gives it its name is not readily visible in this photo. The South Fork of the Matanuska River. This valley is very picturesque any time of year. 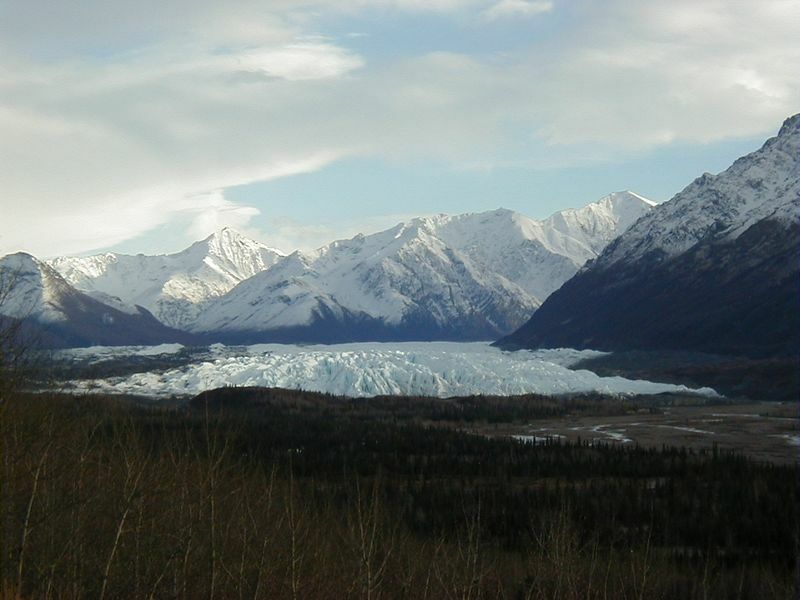 At one time, not all that many years ago, the glacier came all the way down the gravel plain seen in this photo. 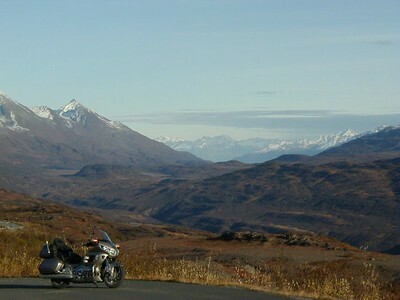 The Chugach Mts. above Anchorage as seen over Lake Spenard. 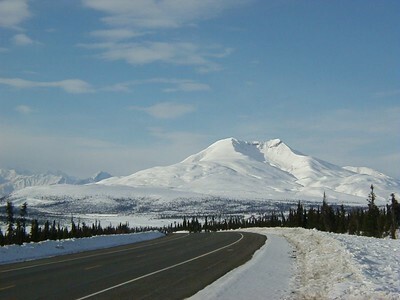 Looking east through Marshall Pass from Thompson Pass. 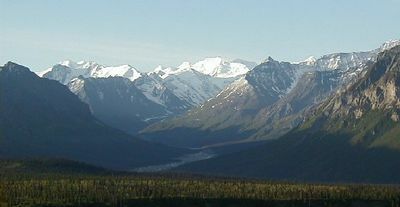 The distant mountain peaks are on the east side of the Copper River. Mt. Billy Mitchell on a beautiful mid-April afternoon. 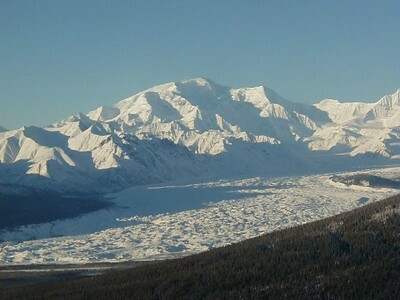 Worthington Glacier shrouded in snow. 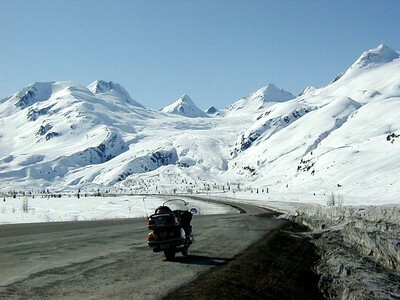 Spring warmth will soon lay bare the surrounding mountain landscape. 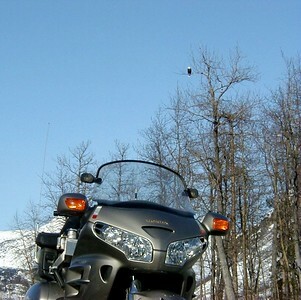 A bald eagle awaits the coming salmon migration in a cottonwood near Valdez. 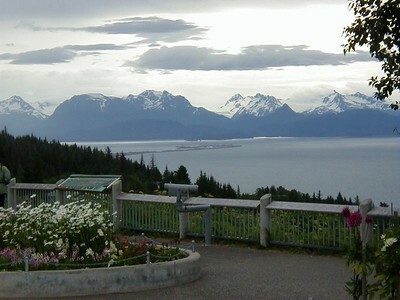 Homer spit from the highway overlook above the city. 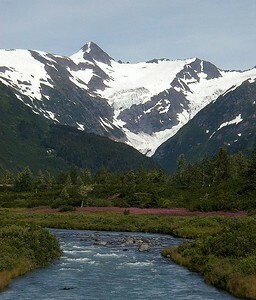 A clear, blue stream flowing out of Bear Valley, on the way from Portage to the Whittier Tunnel. Another view of the Matanuska Glacier; this one also as seen from the Matanuska Glacier Wayside at MP101 on the Glenn Hwy.